This Zara perforated high heel shoe is very reminiscent of Christian Louboutin's Impera laser cut pumps minus the hefty price tag off course. It would make for my ideal everyday work pumps and as you can imagine, it is on my ever growing Zara wish list. I have scouting high and low for a new pair of black flats as my wardrobe is over flowing with high heels. 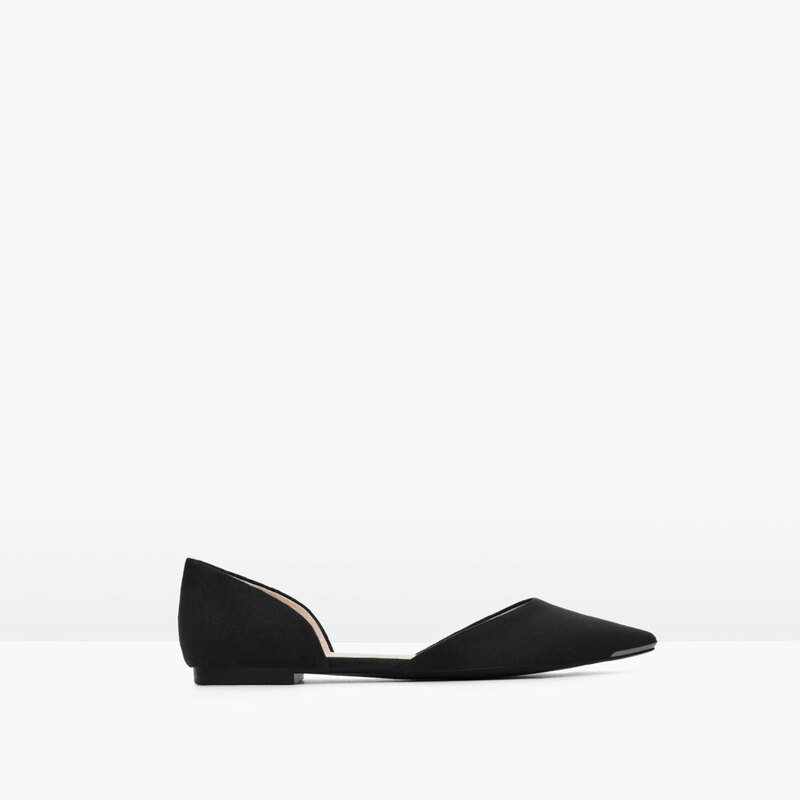 These Zara flat court shoe would be the perfect steal to run around town in. It is a simplistic yet stylish way to complete that casual summer's look. The perfect slip on that everyone needs to suit any and every outfit possible. The lace up shoes are very much in trend for the spring/summer season. It's all over place that you can hardly miss them; now it looks like Zara have followed suit and jumped of the wagon by realising their own version. I happen to have a lace up shoe myself which I picked up from Office a while back. It was a little bit pricier than the Zara version but it is 100% suede leather unlike the Zara lace up so the price tag is justified in my eyes. You can check out my post on some of the various lace up flat shoes currently out there to choose from if you are thinking about buying one.